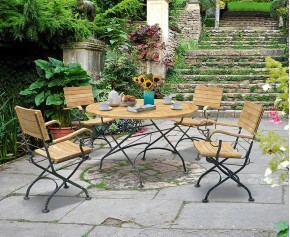 This teak bistro set would look wonderful on a patio or a balcony, creating a charming spot to read the morning paper with a cup of coffee while soaking up the lovely weather. 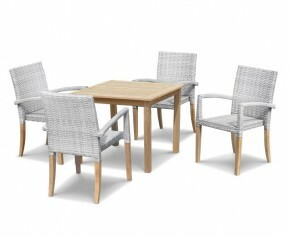 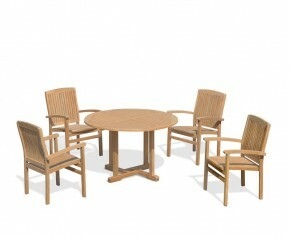 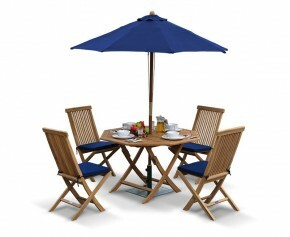 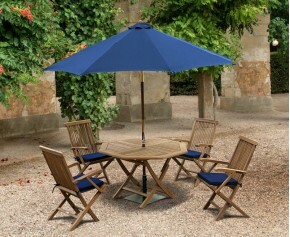 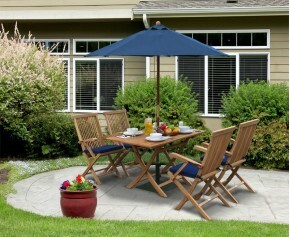 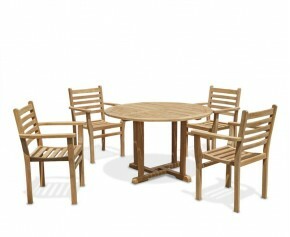 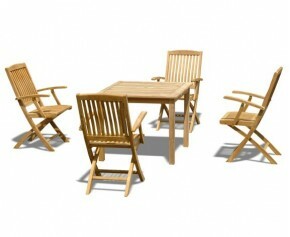 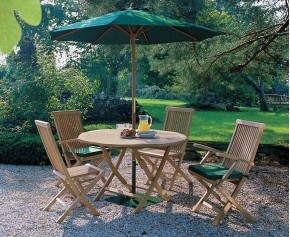 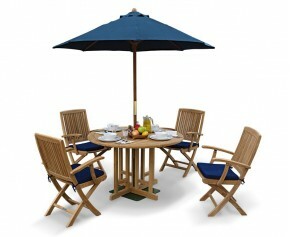 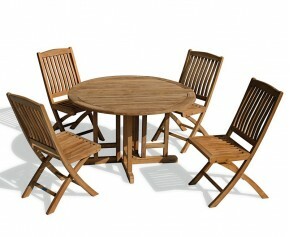 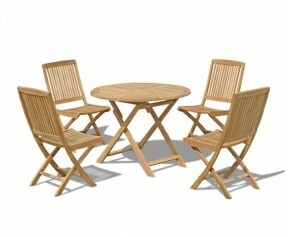 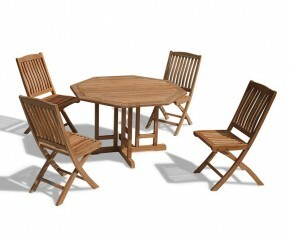 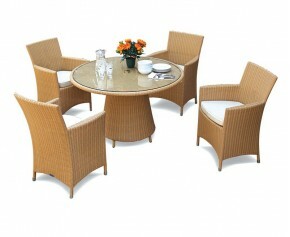 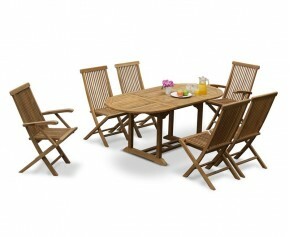 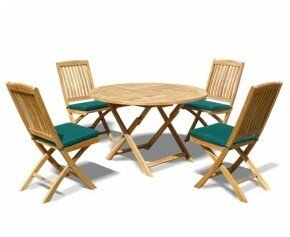 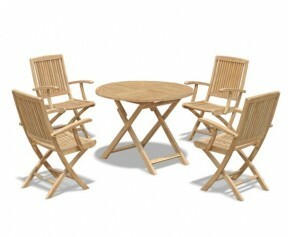 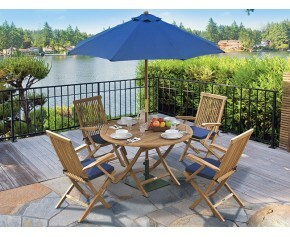 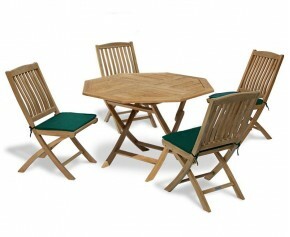 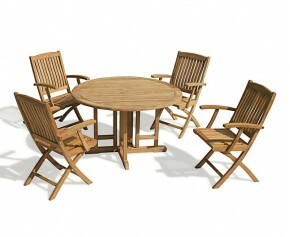 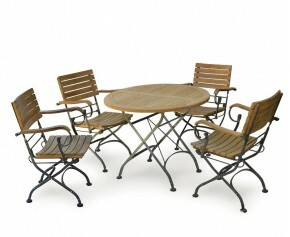 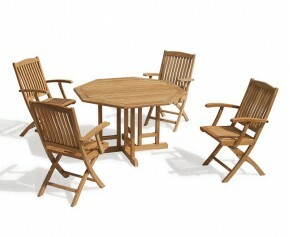 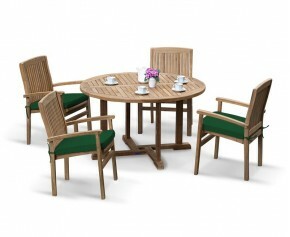 A classic design, this teak conversation set would look equally as good in a traditional or modern garden. 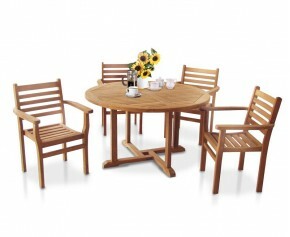 Expertly crafted from sustainably sourced grade-A teak, this teak garden coffee set has been built to last and finely sanded for a smooth to the touch finish. 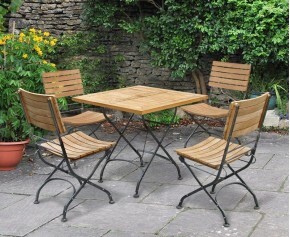 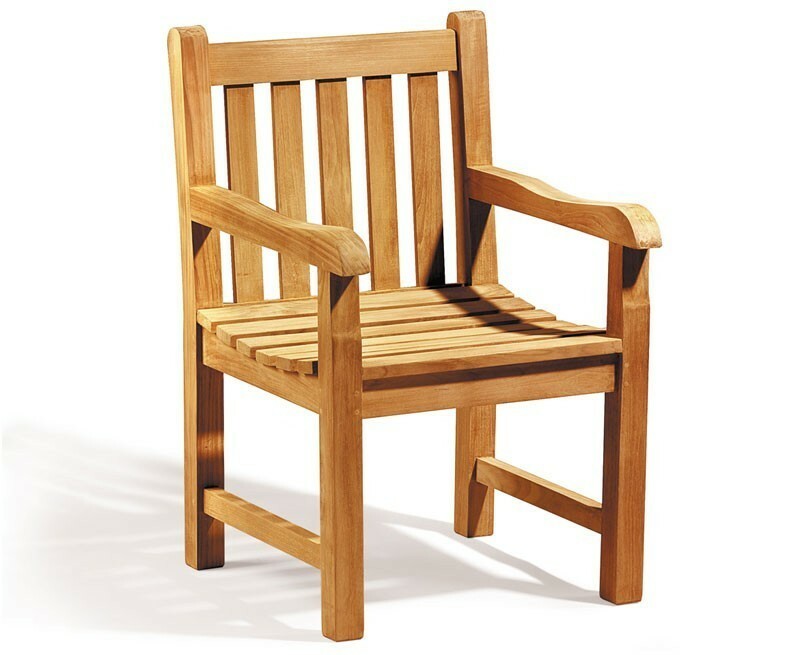 Ideal for leaving outdoors all year round, this teak garden bistro set can withstand any weather conditions with minimal maintenance to ensure use for many years to come. 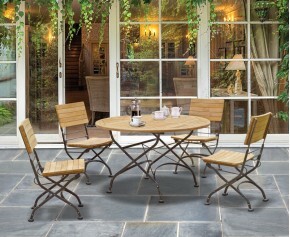 If left untreated, this charming teak garden coffee set will gradually turn from the warm, golden colour to a silver-grey patina for a stylish weathered look. 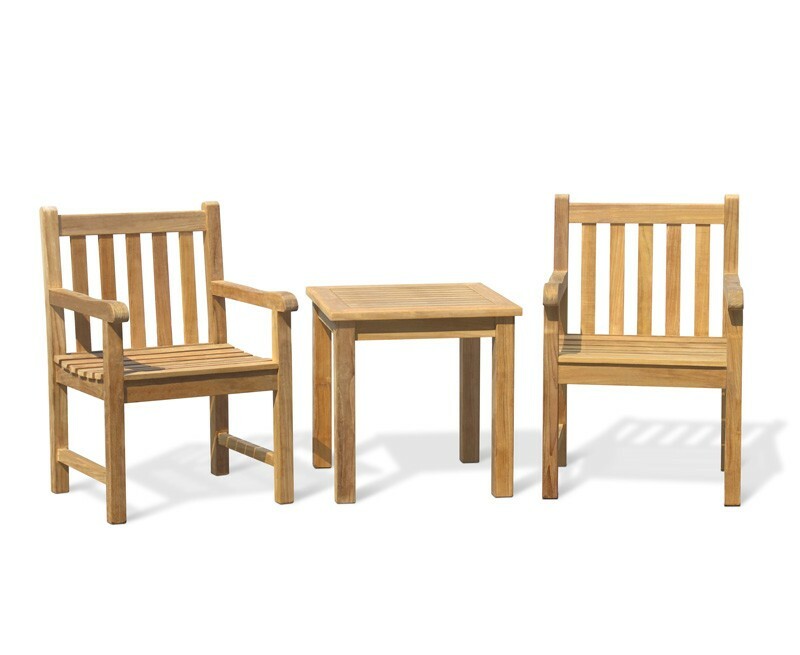 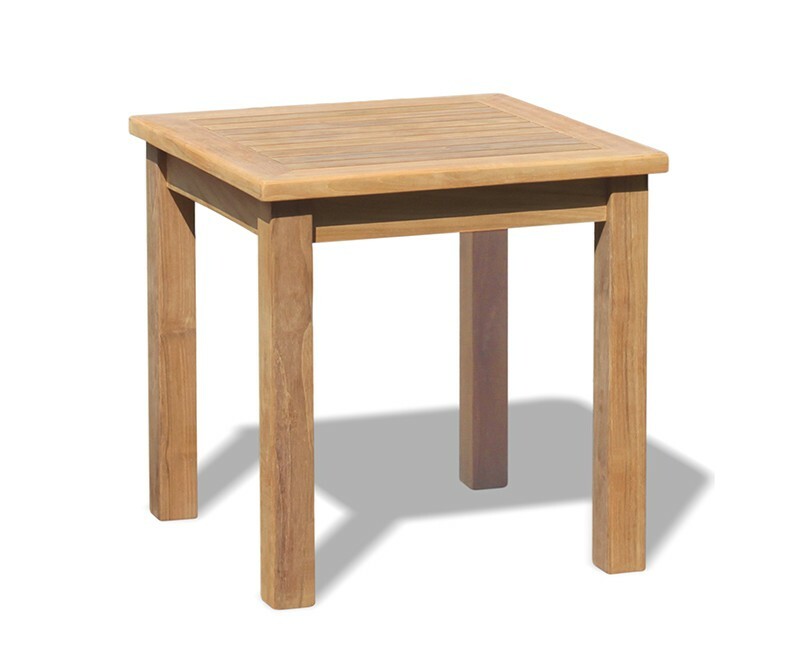 This teak conversation set will be delivered partially assembled; the table merely requires the legs to be attached to the table top, while the armchairs will arrive pre-assembled for your immediate enjoyment.